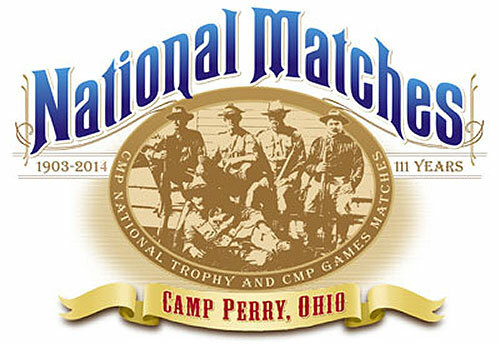 The 2014 National Matches Program Calendar has just been released. CLICK HERE for Calendar PDF. The National Matches include the CMP National Trophy Rifle and Pistol Matches, the Pistol and Rifle Small Arms Firing Schools, CMP Games rifle events, and the NRA National Pistol Championships, High Power Rifle Championships, Long Range High Power Championships, and Smallbore Championships. NOTE: For the next two (2) years, the Smallbore Championships will be held at the Chief Wa-Ke-De Range in Bristol, Indiana instead of Camp Perry, Ohio. 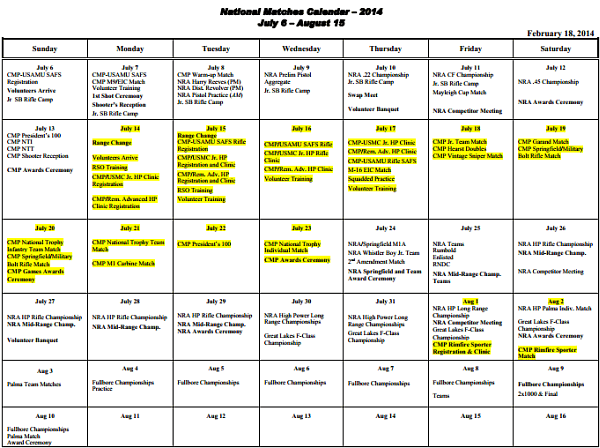 Share the post "Calendar Released for 2014 National Matches"